Summer will be here quicker than we think, so let’s start prepping now! There will be a number of exciting events across the UK this summer and we’re here to provide you with the calendar. From fiestas to music festivals and entertaining sports all ranging from 1-day to 2-week events, this guide is here to help you pinpoint which ones to attend each month from May to August. You can access these events via our website Zeelo transport services for easy, affordable transport tickets! The Spice Girls first formed in 1994 and released Wannabe, their debut single, on the 7th of July 1996 that brought them into the limelight. Wannabe topped charts in over 35 countries, sold more than 6 million copies worldwide, and is regarded as one of the best-selling singles of all time. The ‘girl power’ movement attributed by the Spice Girls has not only defined a generation but also has made them become pop icons empowering many people, ranging from children, teenagers, and adults across the world. You can imagine the excitement that their reunion has sparked! The Spice Girls concerts have been held at many different venues across the UK and the reunion tour is a summer event that you can look forward to attending. You can book your tickets today to this exciting concert. There will be many across the summer, and there’s even talk that the first one will also have Posh Spice (Victoria Beckham) there. The Spice Girls concerts are usually electric according to those who have attended and if you are a lover of good music and want some 90’s nostalgia, you should definitely plan to attend one of their concerts! And of course, make sure to book a Zeelo ride to get to the venue. Cheltenham Jazz Festival is one of the leading jazz events in England. If you love jazz music, Cheltenham festival is the place to be. The best musical heavy hitters Eric Gales, Corinne Bailey Rae, and Van Morrison- one of the best-celebrated musicians of a generation are lined up in May to play and celebrate jazz music. You will be entertained by live jazz music while the free music program provided by the festival will take over with late-night jam sessions, hands-on activities, pop-up performances and dazzling parties at the regency spa town. Additionally, there’s the contemporary and traditional jazz and once you are in you will see the culinary delights of the tented village Cheltenham festival has to offer in the Montpellier Gardens. If you also like dancing, you’ll enjoy your summer at the Cheltenham Jazz Festival. The Photo London Festival usually held at Somerset House London is one of the world’s biggest photography day event. During this event, you will experience quality contemporary photography from all over the world. There are 100+ galleries from 20 countries and they usually meet at Somerset for the event. 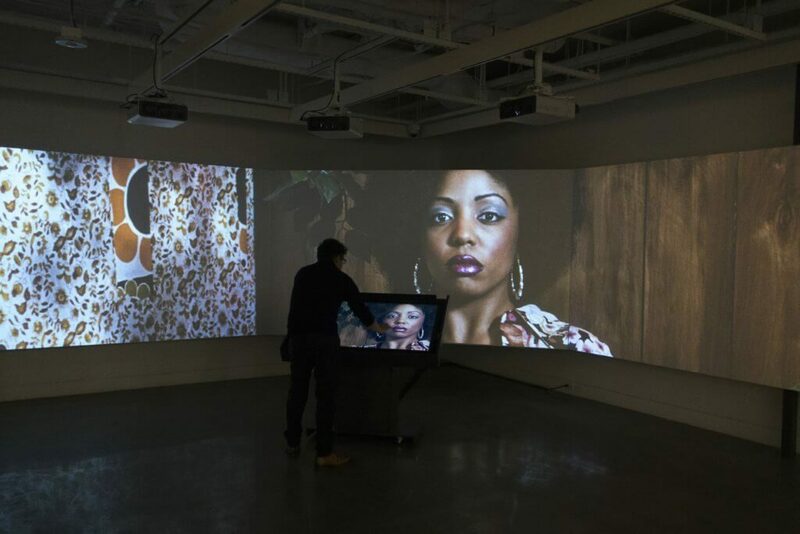 London’s major galleries and museums plus creative communities from the South London and East End join the emerging galleries and leading institutions from UK, USA, Italy, and Japan. They all come together with the aim of exhibiting work from exciting photography of recent times. The event is ideal for people who love and appreciate the art of photography. If you love amazing photos that can get you carried away with just a glimpse, then you need to attend this event usually held in May in London. Football has been and still is one of the most entertaining activities across the UK and the world – and in May every year the FA Cup Final is what’s on in London. The FA cup held by the English Football Association is one of the major trophies at the local level. The FA Cup has something special about it and has a track record of springing surprises. Aside from that, the local fans usually create an electrifying experience inside the beautiful and popular Wembley Stadium, which hosts the FA cup final. Even if you are not able to acquire tickets to the game, Café Kick located in Shoreditch, London is the place to visit for football fanatics on the afternoon of the FA Cup final to watch the games over a pint. The pub may not be the biggest across the country but it as a quite a huge screen downstairs that you will enjoy your match from. Zeelo runs FA Cup final for travel in executive mini-buses and coaches, you can see it in more detail here. 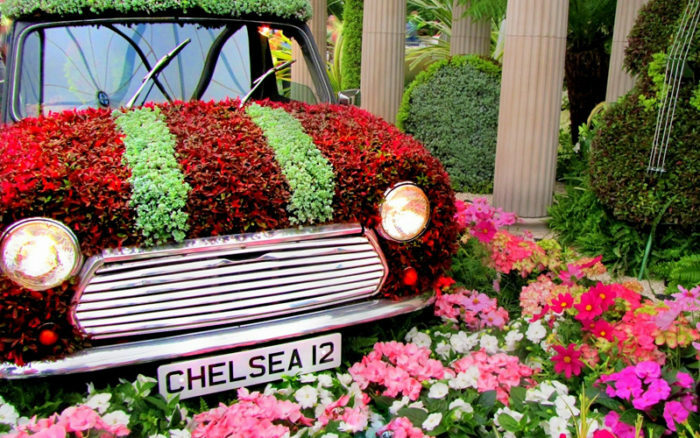 The Royal Hospital Chelsea Flower event features a stunning horticultural showcase, one of the best you will see across the UK. World’s popular plant specialists, florists, nurseries and garden designers come together annually to London’s most affluent place to show off their skills in cutting garden edge designs. It is a place full of inspired floral exhibitions. While here, you will stroll through award-winning and show-stopping gardens. Additionally, you will discover rare plants, flowers, and creative floral designs. You will also learn new gardening trends and browse through the products on sale, from plants, sculptors to gardening gadgets. The place attracts 150,000+ visitors annually inclusive of the Royal Family members. The tickets are sold out so quickly and have to be purchased in advance. If you are planning to attend this event, make sure you book your tickets early enough. The Royal Ascot horseracing event is a British High-Society must-attend event featuring the best racehorses of the world. The Ascot Racecourse is located in East Berkshire, a few miles West of London. Usually held in June on selected dates, members of the British Royal Family have attended the Royal Ascot event every year since its inception. In the afternoon at 1400hrs, the Queen and the other members of the royal family make an entry through a procession in horse-driven carriages. The carriages usually move into the parade ring via the racetrack and then finally enter the Royal Enclosure – the event’s most exclusive venue. Having been established in 1807, the Royal Enclosure is an invitation-only section during Ascot horse racing which was initially for members of King George III family. The dress code at the Royal Enclosure is incredibly fancy but strict as Town and Country reports. The Royal Ascot Horseracing event is one of the best summer events done in June around the UK that you should not miss to attend. Zeelo operates a luxury service including an on-board host for the Royal Ascot, you can see it in more detail here. The Riverside event is usually held in Leicester, Leicestershire and it is one of the best events to visit in June. There are so many waterside activities and entertainment that all people, regardless of the age can enjoy. While at Riverside, grab a spot with a nice view by the banks and watch the famous Dragon Boat compete with crews to raise money for charity. The boat races will leave you craving for more. Later on, you can stroll along the riverbanks and you will be able to view local products sold by craftspeople and artists. Do not worry about getting hungry while at Riverside because there are a number of stalls in which you can get a variety of foods from. There are more activities other than just boat racing though. There are Scuba diving demonstrations to watch, there is also family boat trips and the Leicester Service Water and Fire Rescue team demonstrations that are pleasing to watch. Additionally, the whole experience is capped off by live jazz music to keep you entertained. Also called Changing the Guard, the Guard mounting event is held at Buckingham Palace at around 1045hrs local time. The event lasts 45 minutes and the actual handover takes place at 1100hrs. The New Guard marches in at around 1030hrs and takes over the Old Guard. Although a short event, a lot of people like to gather around and watch! The guard that takes charge of the palace is known as The Queen’s Guard and is a group of soldiers that are active on duty from the Foot Guards of the Household Division. During this event, the guards are usually wearing the popular traditional red tunics and black bearskin hats. This event is usually free and very popular with thousands of people descending on the streets of Buckingham to witness the changing of the guard. Therefore, to secure a spot with a good view you have to arrive early enough! Glastonbury Festival is a 5-day festival of contemporary performances that takes place at Pilton, Somerset, UK. Glastonbury is known to host music, dance, theatre, and comedy among other festivals and it boasts of hosting most popular UK music festivals and artists. Popular with celebrities and young adults, the festival is known to sell out in minutes! The official coaches are also usually quite full and crowded, so make sure to book your Zeelo ride there to secure yourself a comfortable and direct ride with your friends. Split the fare if you get a private ride as well and get exclusive group discounts. 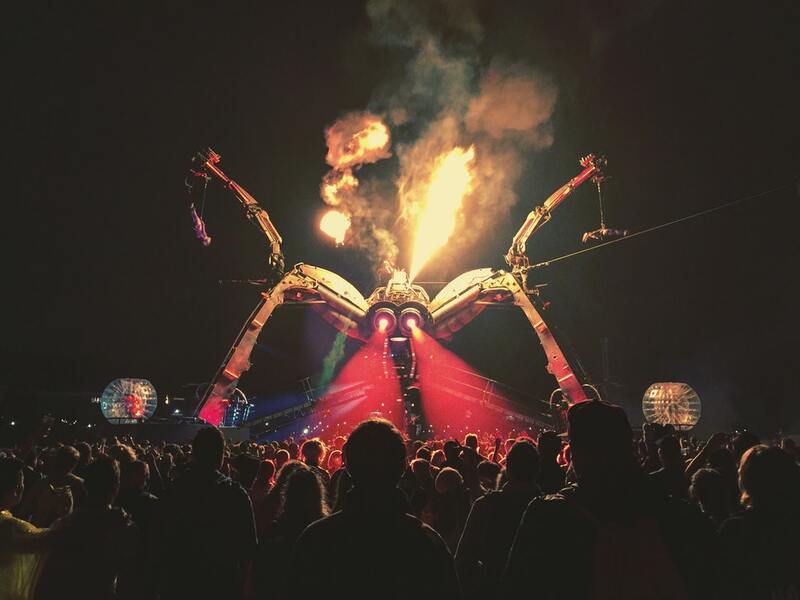 Glastonbury Festival is usually held in once in a year at the end of June and embraces most genres across the spectrum; from pop to rock to techno to minimal-house in the spiritual fields of Somerset. Last year it was not on therefore it’s comeback this year is very exciting. Known for its huge headline-sets well designed on a Pyramid Stage, the festival has recently hosted a number of prominent names like Kanye West, Arctic Monkeys and many more. However, a stroll through Shangri-La – the nighttime district of the festival will get your heart racing. You will be immersed in a world full of shenanigans and theatre with a soundtrack of cool electronic music and underground names. Join a crowd of people at Horse Guards Parade, London to celebrate the Queen’s birthday event. There is usually a troop with a fantastic military parade, who escorts the queen in a carriage to Horse Guards Parade via the mall from Buckingham Palace. While at Horse Guards Parade, the queen inspects her troops and then leads her guards back to Buckingham. At the Palace, the guns are fired at Tower of London Green Park and at the once the queen takes a salute and then she moves and joins the other Royal family members at the balcony to watch the Royal Air Force fly past. Liverpool International Music Festival (LIMF) is Europe’s largest free music festivals in July in held in the beautiful Liverpool City. The Festival has grown ever since its inception back in 2013. The 1-ticketed 2-day event was initially broken into a number of events including a free festival. Tickets for this event are very cheap, as low as £5, though they have helped the management to finance the best lineups in terms of performance. At LIMF you will experience an 18-hour live music from house to Pop to Urban across 4 stages. Aside from that, there are fun activities good for families as well and that makes the festival favourite for almost anyone who wants to feel the thrill of music from a number of established artists as well as upcoming ones. The Lawn Tennis Championships event usually held at Wimbledon is one of the four Grand Slam special tennis events usually held annually. The 2-weeks event full of first-class tennis among other refreshment activities like having drinks, ice cream, and strawberries at the break is a place you want to be during your July holidays. The tournament attracts more than half a million spectators and a large number of television viewers. 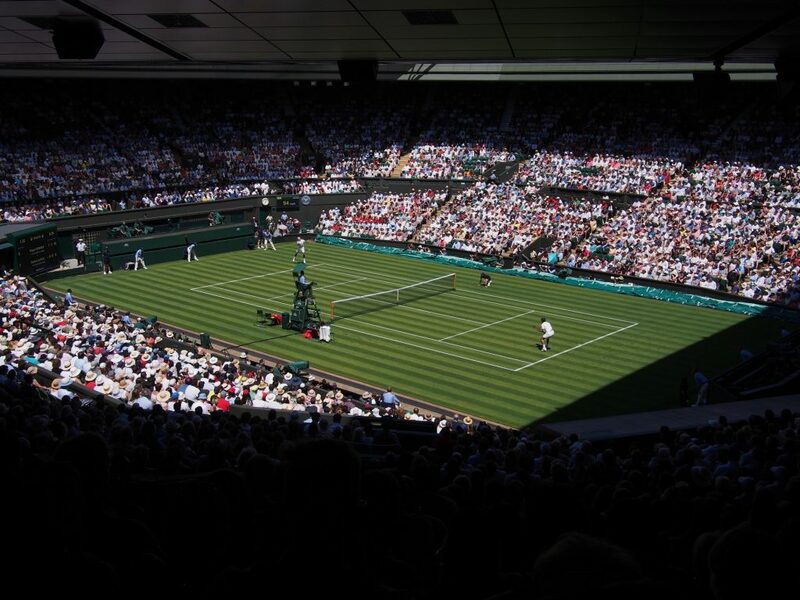 The tennis games are played on the natural grass turf and players are restricted to a white dress code. Get your Wimbledon tickets in advance at the Public Ballot, a method that was introduced back in 1924. There are usually oversubscriptions in the ballot as many people try to get the tickets and that means entry to the public ballot does not guarantee you to tickets. There are usually computer random selections and it is impossible to request tickets for specific courts or days. However, on the D-day, unlike most major sporting events, Wimbledon will offer you a chance to purchase premium tickets, but you have to be ready to queue. Payment is done in cash and one ticket is given per person on the queue. Sunderland International Airshow is the largest airshow having been launched 30 years ago. All you need is head to the beach in Sunderland and lie back as you enjoy the amazing aerial acrobatics, fireworks, live music, traditional seaside fun, and classic aircraft. The airshow showcases everything you will need to see, from classic fighter war re-enactments to death-defying and synchronized aerobatic stunts by a group of top military British pilots known as Red Arrow. The action, which is held over the coastline at Roker and Seaburn is one of a kind and you should not miss out. Thousands of people crowd the sandy beaches and cliff parks to witness the magic of the air show. Aside from the airshow, there are usually more activities on the ground, with flight simulators, helicopter flights on offer, ride-on train models, a fairground, and generally typical English seaside entertainment. You and your whole family are covered as you head to Sunderland in July to enjoy the extremely exhilarating fun. Every summer in July, the famous Buckingham Palace opens doors to the public. A visit to the State Rooms will let you have a sight of some of the greatest treasures of the Royal collection display. The Staterooms – there are 775 rooms, 19 of them being State Rooms, which are lavishly decorated. The Grand Staircase – it is magnificent and actually the highlight of the tour. Sevres Porcelain – There is a collection of the world finest porcelain. There are many other amazing deals good to the eye at the Buckingham Palace, like the gardens, the clocks & flags, the fine art among many others. In July, Barclaycard usually hosts the British Summer Time Hyde Park Festival. The 10-day summer music and entertainment event held in Hyde Park London is a show you do not want to miss this year, with Bob Dylan and Neil Young performing. This event is one of the best London summer festivals. 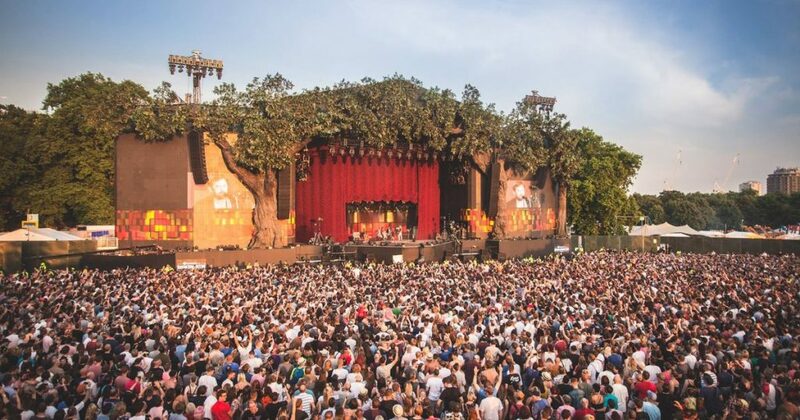 Book now to get a chance to see top artists performing in the beautiful Hyde Park of London. The festival, which happens in two weekends full of live music, is the place to be if you are planning a summer London trip. The iconic Royal Park provides the thrill and the hype you and your friends need in summer! Aside from music and top performing artists, the open house festival provides an open-air cinema and street food, perfect to spend the entire day enjoying the sun and great music. Every August, Bristol City hosts Europe’s biggest hot-air balloon event. 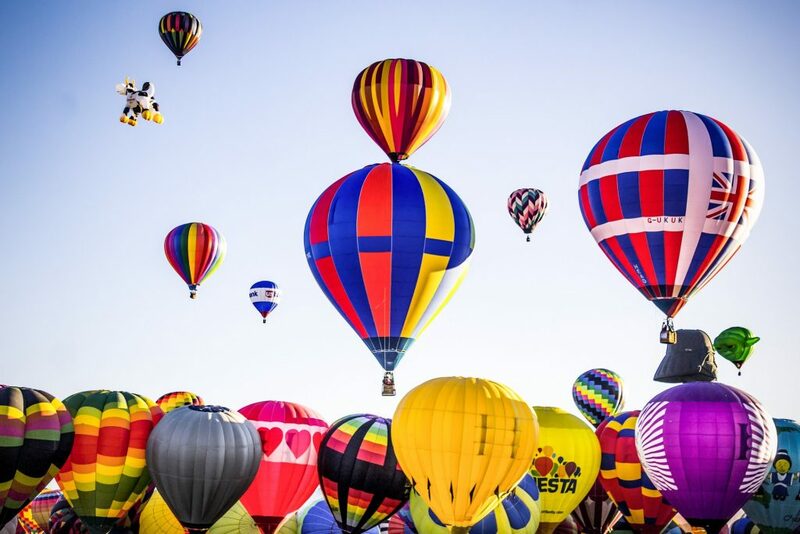 The International Balloon Fiesta, which includes two events (a morning and an evening nightglow), is an something you do not want to miss this summer. The balloons are launched at the beautiful grounds of Ashton Court Estate twice a day; at dusk and at dawn. The aftermath of over 150 hot air balloon launches creates a not only beautiful, but also a very thrilling atmosphere. The illumination in the sky and the evening nightglow is a sight you just want to see again and again. And you can, it’s completely free! The 4-day event is an amazing spectacle and now, it is ranked among the top five outdoor activities across the UK. There are family entertainment activities including fairground rides and face painting available nearby as well. Additionally, other amenities like food stalls and bars with great acoustic music are also planned. The Castle Howard fireworks fiesta is one of the best summer festivals held in Malton, North Yorkshire. You will be amazed as fireworks blaze up the Howardian Hills in style! 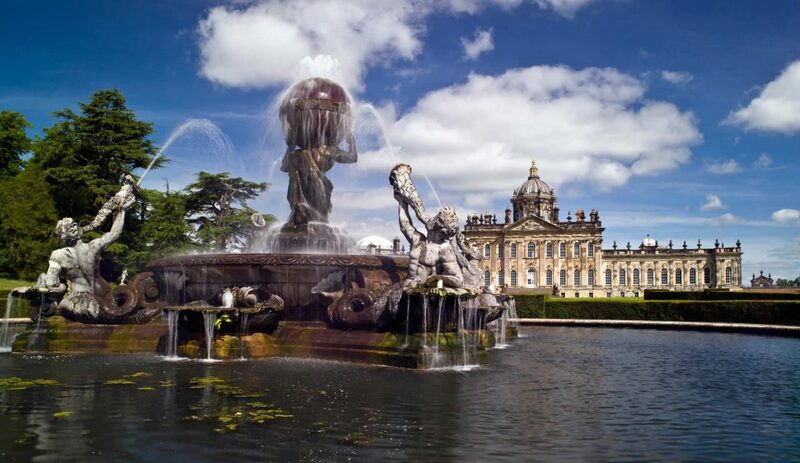 The setting of the whole event is spectacular, as the view across the Great Lake Castle Howard plus the closely trimmed lawns of the place will brighten your day. As the event comes to a close, there’s a blaze of fireworks lit up into the summer night sky leaving the onlookers with nothing but ‘aahs’ and ‘oohs’. Apart from being remarkable, the setting is very English as well and it perfectly fits with the place where the stone villages with cosy country inns and historic churches are concealed beyond the rolling hills. Perfect for tourists visiting from outside the UK. The Castle Howard fiesta is one of the perfect holiday deals you will find in August across the UK and just like the fireworks, your summer is lit at Castle Howard. Held every August in Lytham Green, Lancashire, the wartime festival lets you step back in time during World War. The annual Lytham Wartime Festival usually has thousands of people descending on the town in what otherwise would have been a historic day across the UK. Apart from immersing yourself in a heritage and historical setting, there is entertainment, have a- ago fun and re-enactment during this event that will leave you satisfied in the end. During this event, you will have a chance to see historical aircraft, vehicles, listen to historical music, watch the dances of the period, and experience memorabilia as well as thrilling battles. All said, the dress code is fascinating and features the 40’s fashion with many visitors who also observe the old fashion soaking the historical atmosphere. 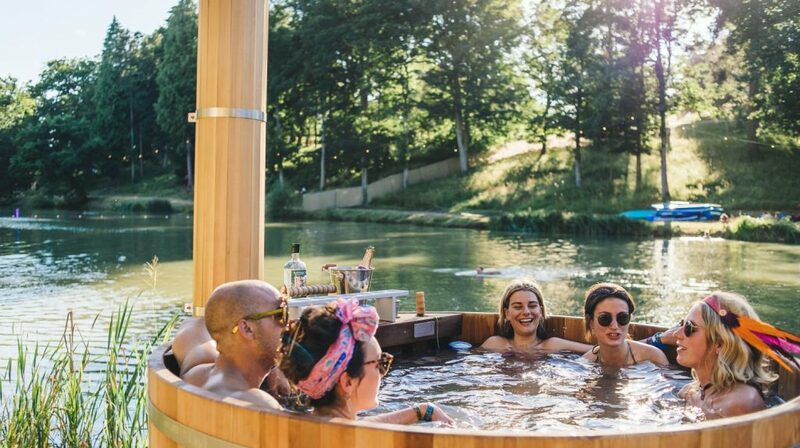 The Wilderness Festival takes place in the Oxfordshire countryside is an event you can look forward to attending this summer. The festival is like a mini-paradise where fine food, cool music, art, and nature are all brought to one setting. The Oxfordshire countryside is a beautiful place to be, and once there, you can expect live theatre and fanciful feasts. The Wilderness festival unlike most festivals, gives much attention to literature, theatre, and food as it does to music. You can also engage in other social activities while at Wilderness Festival. You can dance to famous DJs and bands or you can go swimming in the Lake Majestic found in the area. You could join a large table feast usually hosted by the popular chefs, or you can choose to go and chill in a class of yoga specialist instead. The music line up of the festival is usually top notch and if you are looking for a way to spend your holiday, then the Wilderness Festival in Oxfordshire is a perfect place to be. Zeelo operates a festival coach service for Wilderness, you can see it in more detail here. Southsea Victorious Festival is one of the largest events usually held on the south coast of UK. This two-day event that takes place at Portsmouth, Hampshire is family-friendly with lots of activities that will entertain both the kids and the adults. The festival encompasses the beautiful Southsea, and provides the family with every type of music for every age. At the kids’ arena, children can get an opportunity to dance at the Kid’s Stage and have fun at the Crafts station and the Bella-crafts Arts stand. Additionally, the sandy beaches of the South Coast will provide an extremely comfortable and relaxing environment for people of all ages. The kids can get playful and have their faces painted while the adults walk through the markets, food cafes and sample drinks and food. The Southsea festival is all about dancing and beach fun across the Southsea area. No matter the event, no matter the occasion, Zeelo is here to sort your every transport need. Get in touch with us with any of your requirements, especially regarding these events and we will sort you out! We can plan your trip from start to finish, we can provide you with instant quotes and fares and you can split the cost with your friends as soon as you book!